The koreanovelas, K-pop stars and Korean matinee idols have long captured the hearts of Filipinos. 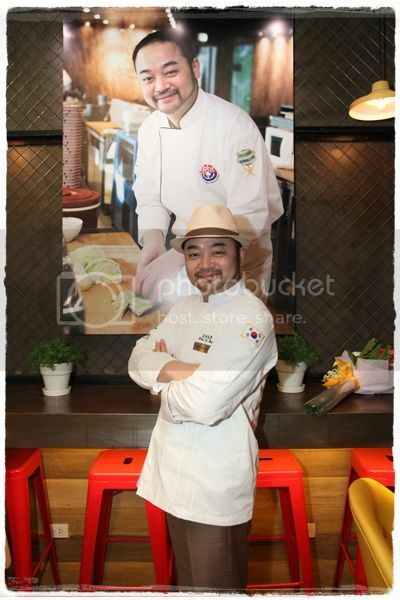 Now we have a popular Korean Celebrity Chef visiting the country, Chef Choi In Sun. This charming chef is the star of Korean TV program Starking Show, he is here to celebrate the opening of a new Chefs Noodle Robinson’s Magnolia. This celebrity chef will also have a meet and greet session with the winners of the restaurant’s Bibimbap Craze Promo. 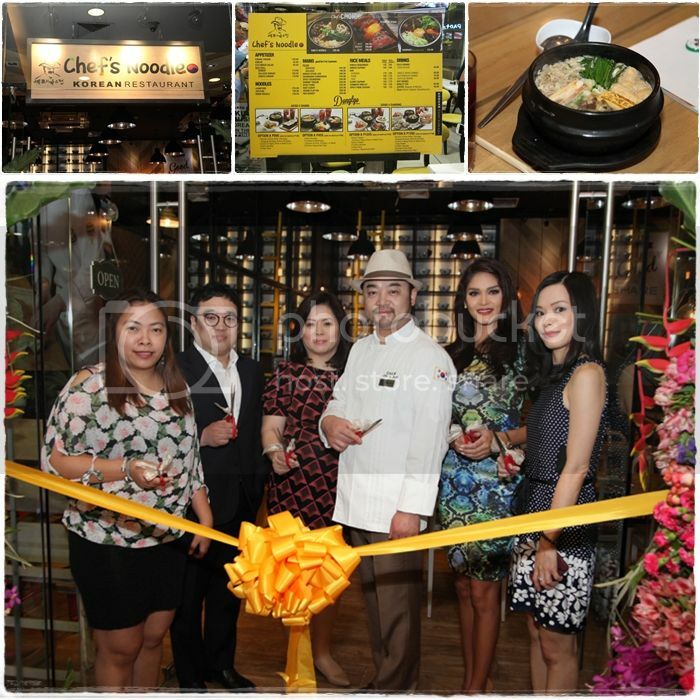 I was able to witness the ribbon cutting ceremony held yesterday at the Lower Ground Floor level of Robinson’s Magnolia and got to explore Chef Choi In Sun’s menu for Chefs Noodle. I enjoyed the filling and entertaining lunch shared with fellow food bloggers and the celebrities who graced the opening of the restaurant. I also shared my Chef’s Noodle discoveries on my food review post here. If you want to know more about the event, read on and learn a few interesting tidbits about Chef Choi In Sun and Chef’s Noodle. Undoubtedly, the Korean invasion has affected even our palates. Filipinos are officially in love with Korean food. Chef’s Noodle, the new favorite Korean dining place in the Philippines, opened another branch in Robinsons Magnolia. The ribbon-cutting ceremony was led by no less than Chef’s Noodle Korea owner Mr. Kim Suk Hoon and Korean celebrity chef Choi In Sun, who both flew in from Korea to celebrate this new milestone for the restaurant. Present during the ceremony are Chef’s Noodle Philippines CEO Mary Simisim, Nancy Go, Operations Manager, and celebrity guest Pia Wurtzbach. Chef’s Noodle Philippines is the master franchise of the Chef’s Noodle brand from South Korea. Chef Choi In Sun, who is popular in Korea for his TV program Starking Show, created the appetizing menu of this well-loved Korean restaurant. It was in the show that the charming chef popularized the Starking Fire Sushi, a flavorful dish composed of sushi rice topped with thinly sliced Australian beef torched and served with special sushi sauce. 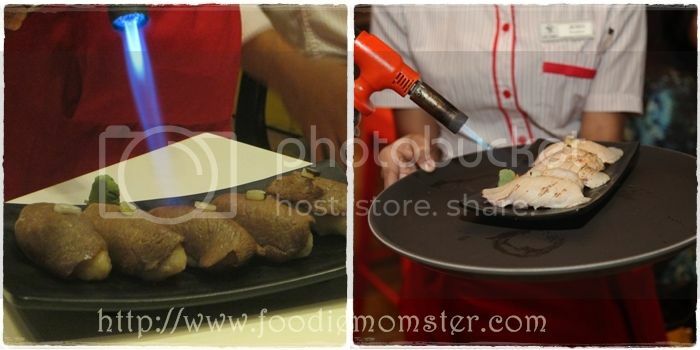 Today, Starking Fire Sushi is one of the reasons why diners keep coming back to Chef’s Noodle. Its wide array of delectable dishes is a feast for every diner’s taste buds. Among them are Chef’s Noodles, Bibimbap, Japchae, Haemul Seafood Pajun (Korean pancake with shrimp and squid, spring onions and bell pepper), Leek Shrimp Twigim, Chicken Kas (breaded chicken fillet with white creamy sauce), Spicy Dukbokki, and well-loved desserts such as ice cream and gelato. Chef Choi In Sun is also in Manila for a meet-and-greet session with the winners of Chef’s Noodle Bibimbap Craze promo on April 25 at SM North Edsa. Chef’s Noodle is a great addition to Manila’s vibrant dining scene. The cozy and visually appealing interiors of the Robinsons Magnolia branch will surely be a favorite hideaway for those living and working in the area. Get a chance to see the Korean celebrity chef in person on April 25 at Chef’s Noodle SM North Edsa. If you can’t, you can still try experiencing his creations at Robinsons Magnolia (6567033), SM North EDSA TheBlock (3765367), and Robinsons Place Malolos (0917-5486187). Soon to open SM Megamall. Forfranchising inquiry, email franchising@chefsnoodlephils.com or call 584.0205.